By adding Moroccanoil products to your shopping bag, you have read and will abide by Moroccanoil’s attached terms and conditions. 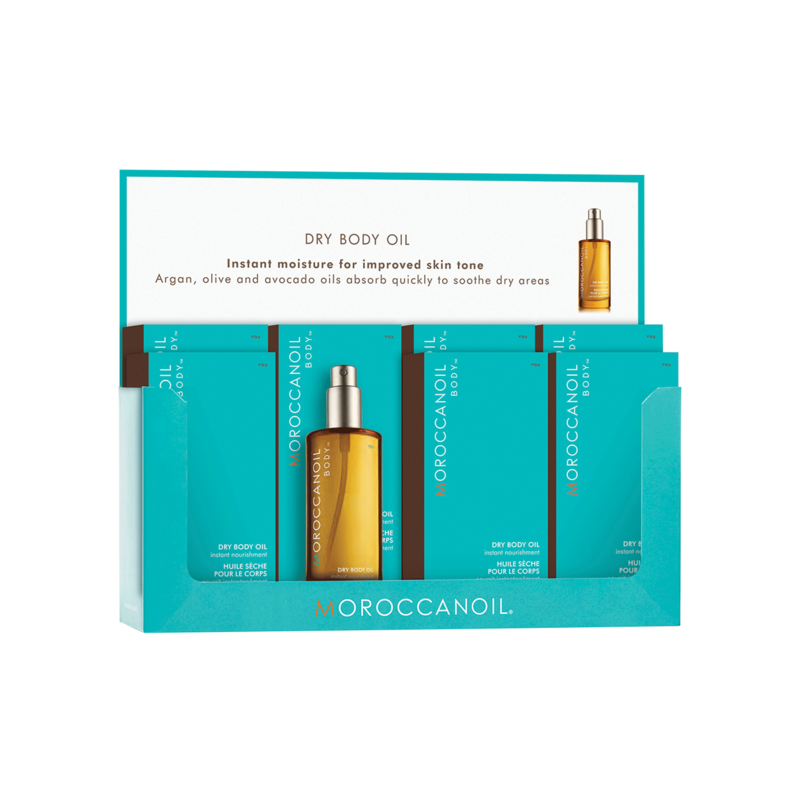 Instant moisture that achieves soft, silky results, Moroccanoil Body™ Dry Body Oil Fragrance Originale infuses skin with the antioxidant-rich, nourishing properties of argan oil rich in essential fatty acids, as well as olive and avocado oils. The weightless formula absorbs quickly to lock in moisture, while soothing dry areas and improving overall skin texture and tone. Spray a thin layer of Moroccanoil® Dry Body Oil directly onto skin immediately after showering and lightly massage in an upward circular motion. Repeat as desired. TIP: Follow with Moroccanoil Body Soufflé or Body Butter for added moisture and nourishment. Delicately fragranced with the signature Moroccanoil scent, Fragrance Originale. Paraben-free.